Look at these darling girls! As if my life wasn't dog-centered enough this week I had a puppy fix this afternoon. 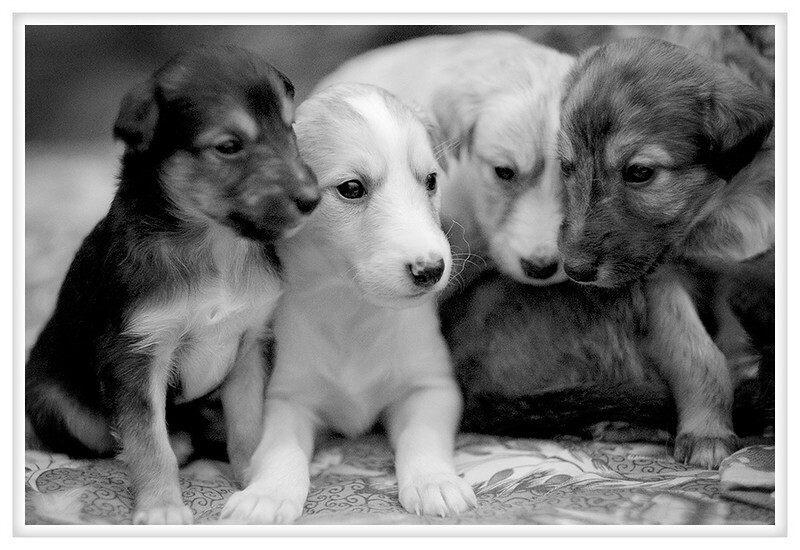 At four weeks old these pups are just starting to explore their world with newly opened eyes. They aren't afraid of people but they aren't yet excited by them either. There are eight in this litter and after having a bit of milk the big boy walked over and rested his head on my foot. Soon one of his siblings joined him and in minutes I had all eight cuddled up against me and I can tell you it was wonderful. I can't wait to see how these little monsters turn out when their noses come in and their legs grow a bit as they're just beginning to grow their points.